Goonies! So here at LosGoonies we have started a new series of features simply entitled, “The Untouchables”. 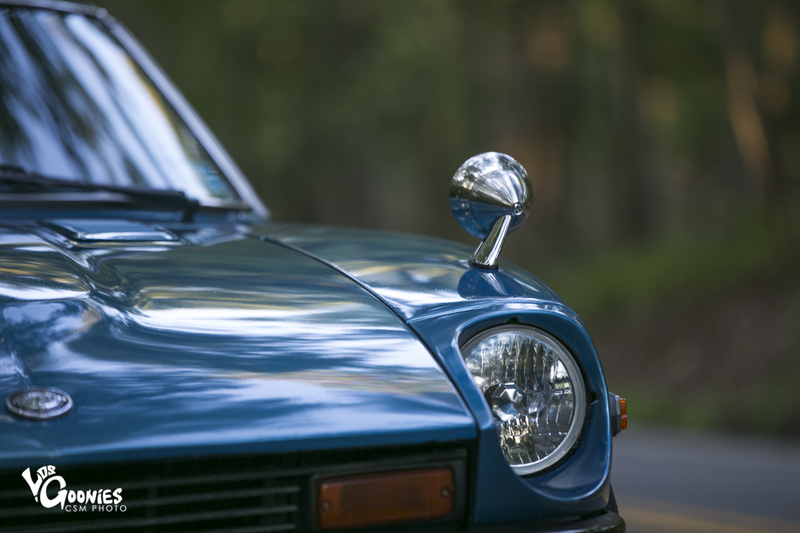 These are designated to cars that truly bring life back into the scene. Cars that no matter what obstacle they may have placed in front of them they overcome, we will be assigning a total of 10 Untouchables per year. 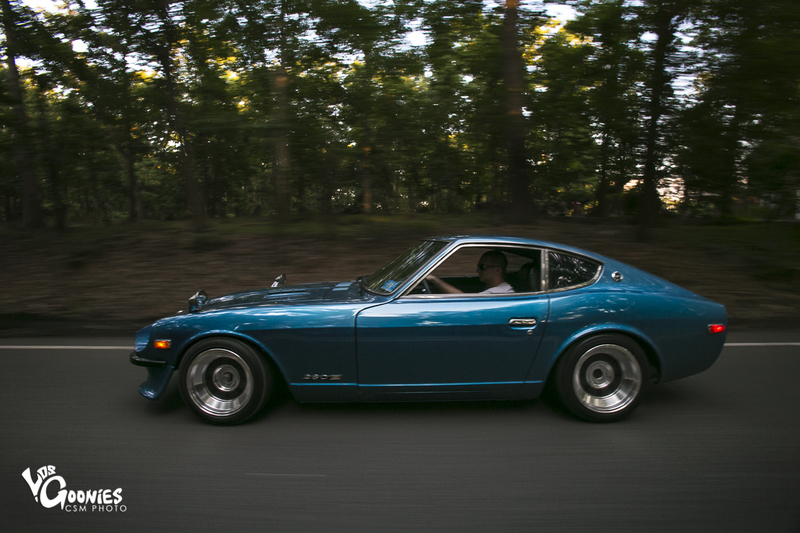 This is our first, Dan’s 1977 280z, the first z and the generation that sparked the Z. 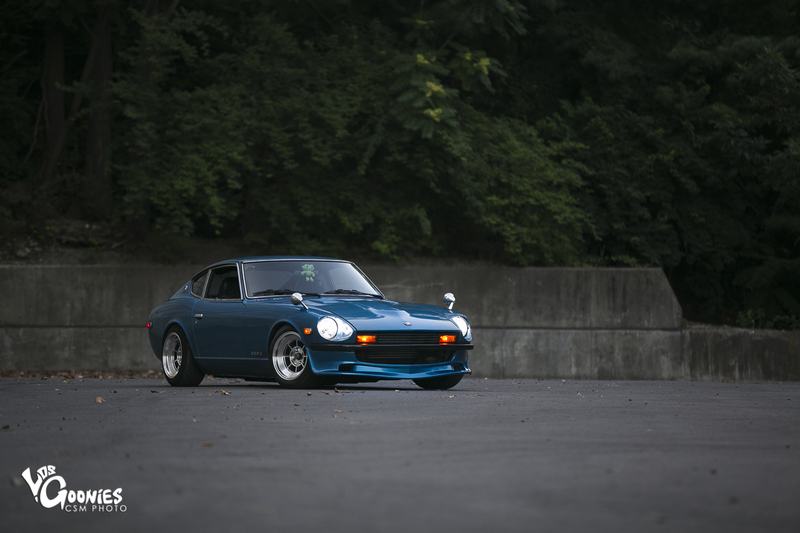 The history and notoriety of any classic car, whether it American, European, Asian or anywhere else is heavily weighed when tuners around the world find their select auto to modify. Since the early 1900’s auto makers push the envelope on new technologies from drum to carbon disk brakes that can handle extremely mild heat, from oil burning lamps to LED daytime running lights, from basic wood plank bench seating to plush ostrich or velvet leather. Legends are built from these technologies, these thoughts outside the box. 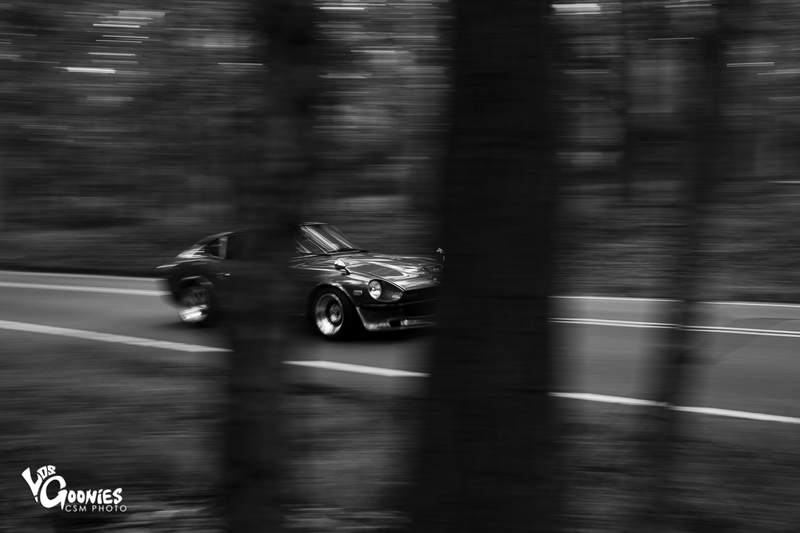 There are a handful of cars that will be forever remembered and become more rare every day as drivers become statistics for accidents, racing travesties or in some cases, sadly forgotten in a garage or back yard. 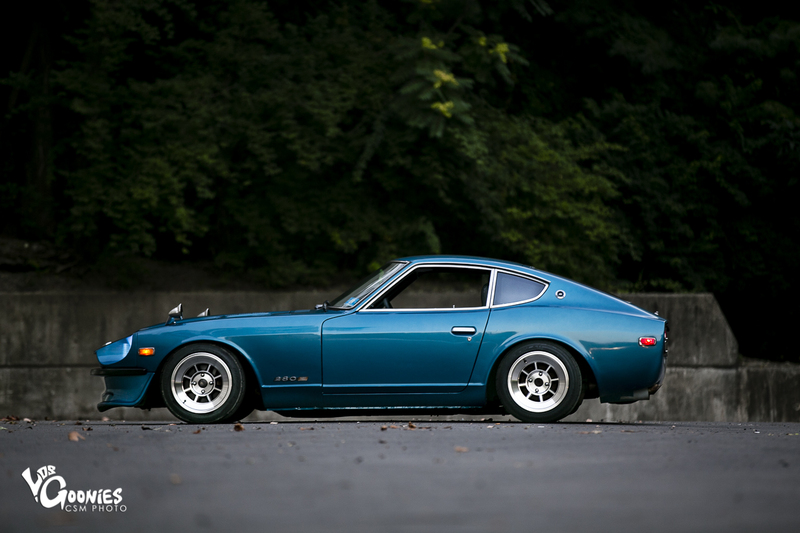 There are many people who envy the owners of such legendary cars. 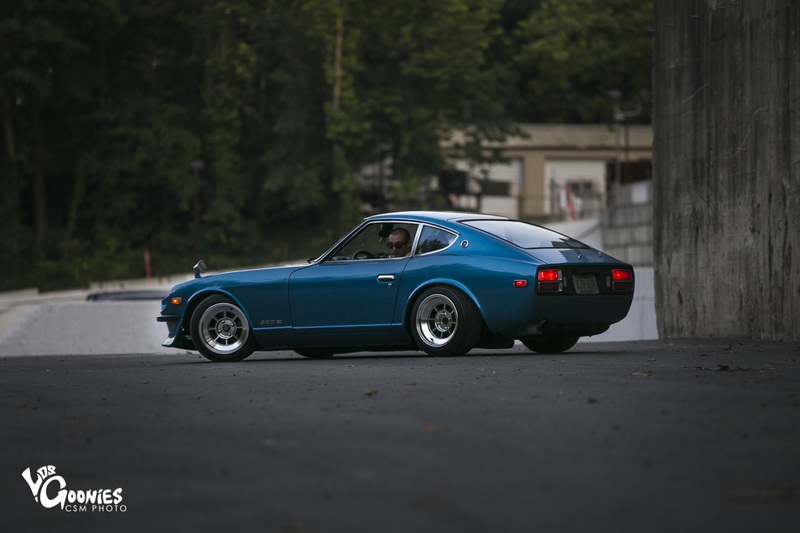 Whether purist or extremist in experimentation with new parts, all are sure to turn a head when one of these rolls passed. 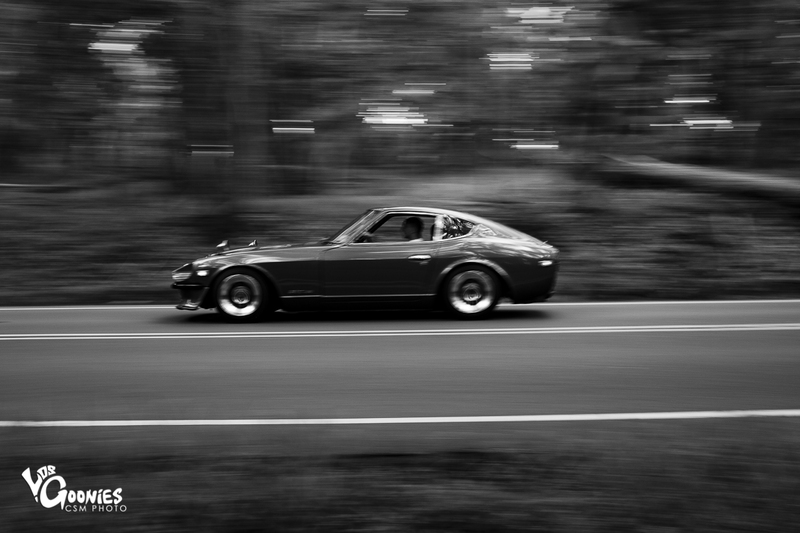 The length of the classic Z era is rare enough to become a legend quickly with whatever style the driver may have up their sleeve but surely attainable with enough skill and determination. Dan H., being around the automotive industry for some time. 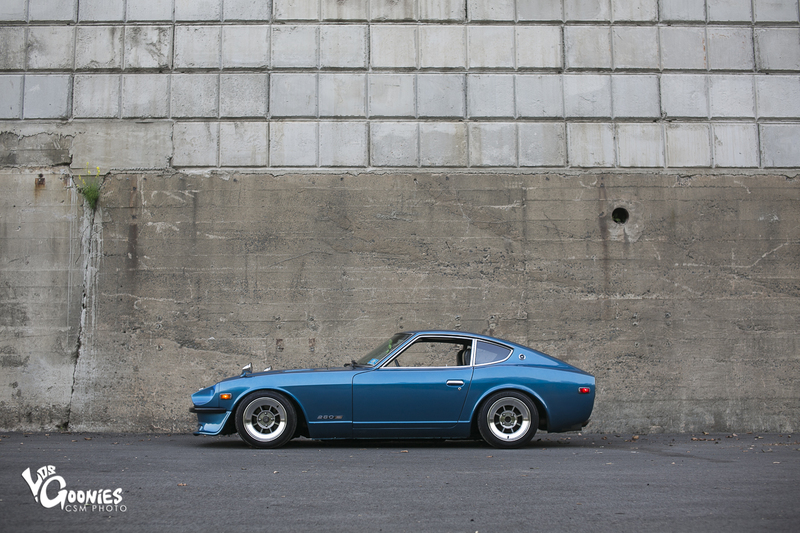 He came across his Datsun 280Z with his father after his previous Z was tragically totaled. 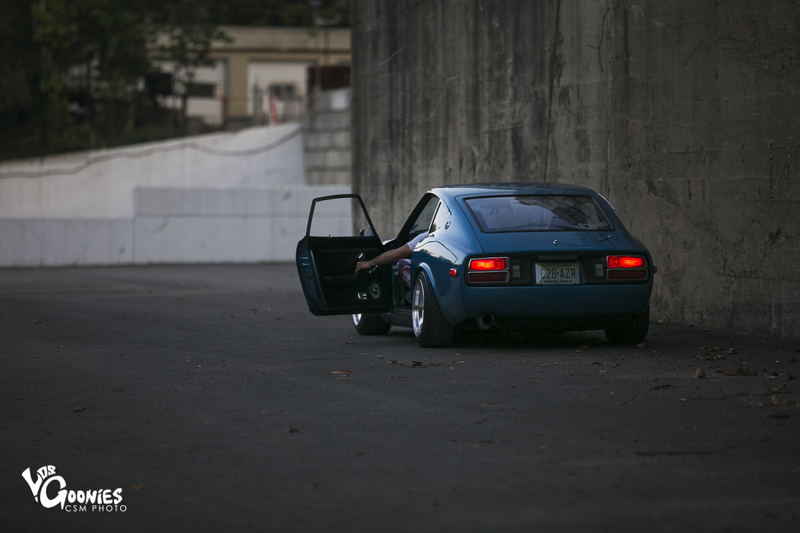 He couldn’t bear not hearing the symphony from the early model that Datsun would produce. 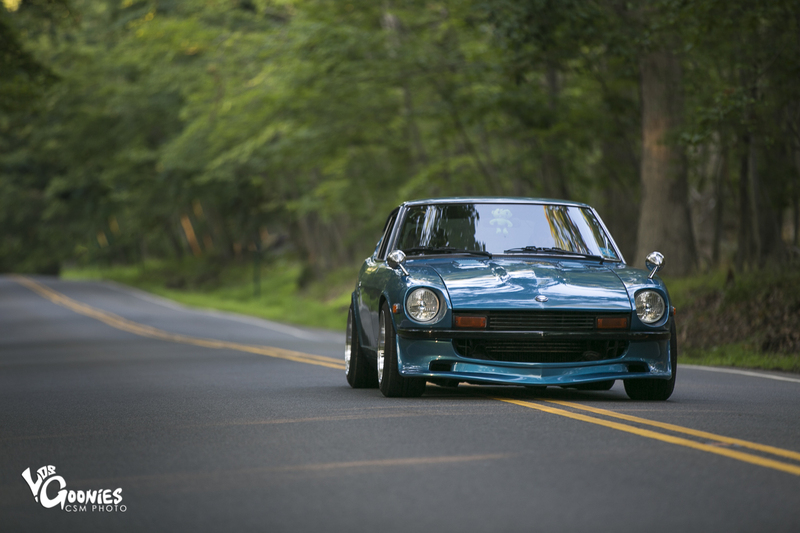 After a bit of searching, him and his father would stumble upon a blue ’77 in upstate New York. The 280s previous owner seemed to be fairly meticulous having minimal dings, scratches on the exterior but mechanically developed quite a nasty cough. After 2 weeks of being daily driven it spun a bearing. A new “rebuilt” motor was purchased only to find out the company scammed him and wound up rebuilding from the ground up. Hours of blood, sweat and grinding teeth were spent in the garage while girlfriend Liz waited patiently as her passionately obsessed man came closer to the end result. Dan’s Z | LosGoonies | Untouchable | 1.0 from Kenny Cano on Vimeo. As us photographers, videographers and enthusiasts put their .02 in when it arrives at a show, the closer I(Cary) got to the car, the better it got. 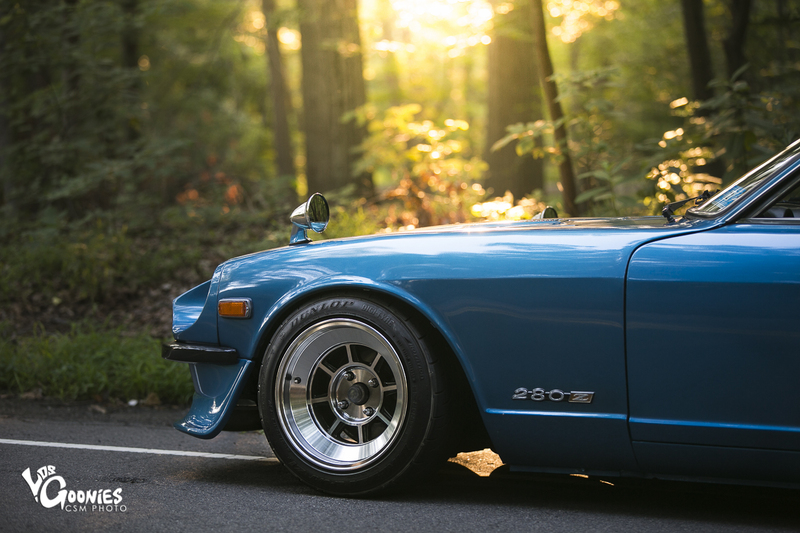 Minimal imperfections, drivetrain tight, engine not a knock, exhaust purrs as the engine is turned over. This is a magnificent creation of metal. It’s a craft. 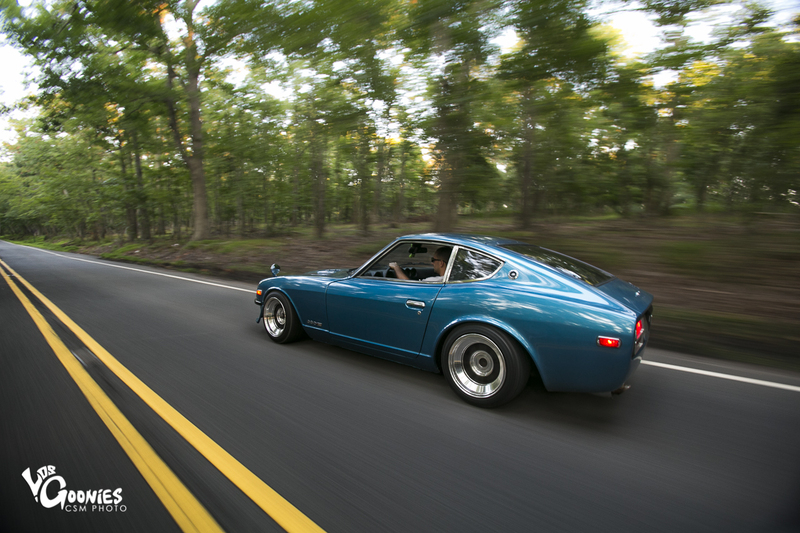 Enthusiast and automotive engineer come together in an industry that is awe inspiring. 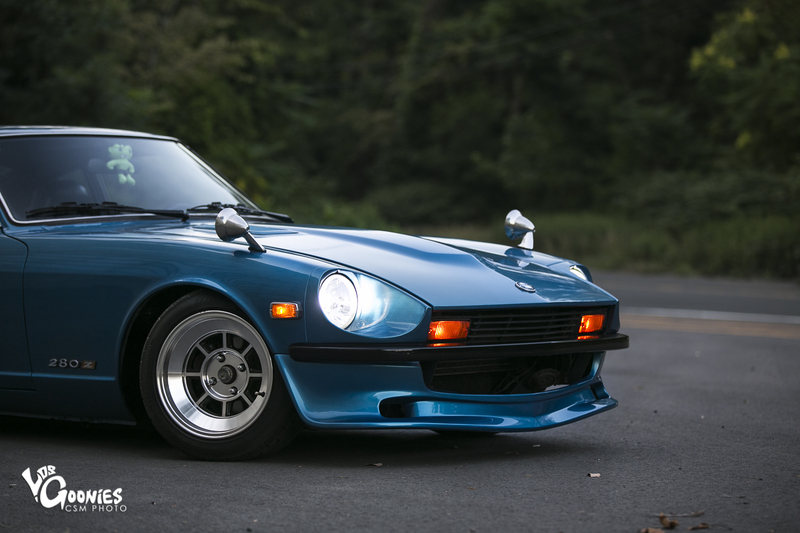 From the early to late, from Japanese skid racing to the American oval’s, when I hear an engine like this ’77 Z, it makes my blood runs like F1 through Nürburgring.